Cigarette smoking is the world’s single most preventable cause of disease and death. It is estimated that each year over five million people throughout the world die from cigarette related illness. Cigarette smoke contains more than 4000 compounds. Among these Nicotine is the primary source of tobacco dependence and others are toxins and carcinogens. Tobacco is an ever changing and extremely complex mixture of chemicals. It is formed when tobacco itself, a complex mixture of over 2000 chemical constituents, is burnt during the smoking of cigarettes, cigars, or pipes. When a cigarette burns, thousands of chemical substances are generated and they are distributed between the gas phase and the particles that constitute the smoke aerosol. 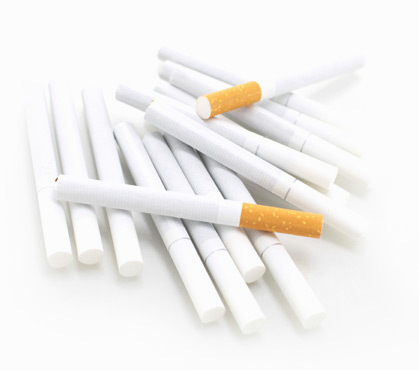 Cellulose Acetate filtered cigarettes contain substantial amounts of p-BenzoSemiQuinone (p-BSQ) which is about 100 to 200 µg /cigarette. It has been determined that when a Cellulose Acetate filter is replaced by a Charcoal filter, the amount of p-BSQ in the mainstream smoke is reduced by 73-80% and prevents protein carbonyl formation to the extent of 70– 90%.